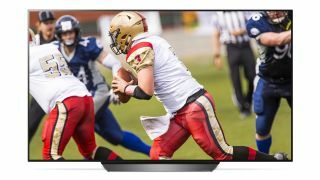 Save $1000 on LG OLED TVs in time for the Super Bowl | What Hi-Fi? LG has launched some eye-catching official deals on its excellent 4K OLED TVs - just in time for the Super Bowl. The TVs are down to their lowest ever US prices, matching the savings seen on Black Friday. So if you were thinking of taking the plunge on a big-screen OLED, now might be the time. The TV on offer is the LG OLED B8 Series, available in 55-inch and 65-inch screen sizes. All 2018 LG OLED sets support Dolby Vision, HDR10 and HLG, as well as LG's AI ThinQ platform and Google Assistant voice control. In the UK? Check out our round-up of the best OLED TV deals in the UK.